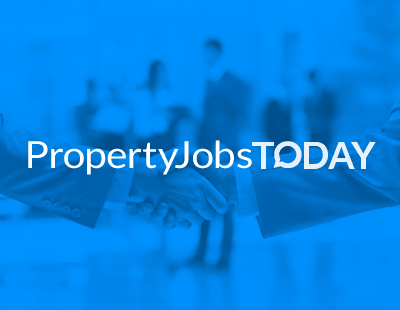 There’s been another raft of movers and shakers in the industry in recent days, so this is a busy Property Jobs Today weekly update. Do please let us know what’s happening by emailed press@estateagenttoday.co.uk so we can let the industry know too. Let’s start this week with a few ‘boomerang’ appointments for our friends at Castles Residential Sales & Lettings in Swindon, who have welcomed back five staff to the firm - proving, they say, that there's no place like home. On the way back to the agency are Austen Gray, Ben Deacon Simon Legge, Tracey Vasko and Guy Devine. "What I love about Castles is the confidence that the sales team gives me, marketing property immediately. Quite often, we achieve first day viewings in advance of the property being displayed on the internet” explains Austen. Meanwhile Simon explains: ””It's a driven company and the MD, Mark Noble, wants to be the very best in the town for his clients and all of his team”. Good luck to all in their return. National agency Carter Jonas has a new head of residential - although it’s a familiar face because it’s the firm’s former lettings chief, Lisa Simon. She now takes on the leadership of Carter Jonas’ 200-strong residential division, located across its network of 33 offices. She’ll also join the partnership’s management board to work alongside Mark Granger, the company chief executive. Lisa succeeds Rory O’Neill, who recently stepped down from the role which he has held for four years; he continues to lead the firm’s southern residential business from Marlborough. Claire Reynolds and Phillippa Dalby-Welsh become joint heads of prime central London meanwhile the head of the agency’s Sloane Street office, Richard Gutteridge, will now also oversee prime and super prime sales throughout PCL. Claire operated in Surrey and later Mayfair before opening the Marylebone office in 2013. In addition to continuing to manage the Marylebone sales team and office, Claire sits on both the Savills UK Residential Operations Board and the London ExCo board. Since joining Savills in 2005, Phillippa has worked in London and the country where she had a role running the Country House department’s southern team. Phillippa sits on Savills UK Residential Operations Board, LondonExCo board and represents the residential division on the Diversity & Inclusion group for Savills UK. Jonathan Hewlett will continue to head Savills London residential business which has an expanded footprint of more than 40 offices following the company’s recent acquisition of east London based property services company, Currell. Ed Lewis remains head of London residential development sales. Another big agency - Connells - has appointments news too: Graham Jones, a human resources leader with over 25 years’ experience, has been appointed group human resources director. He’s worked at board level in multiple industry sectors including real estate, financial services, insurance, automotive and staffing services both in the UK and internationally. In his new role, Graham will build the HR strategy and services offered to the group’s 7,000 strong workforce. “There’s a huge opportunity to develop our people strategies for the benefit of our business, our workforce and our customers” he says. There’s a move of sorts for Amanda Sowter and Chris Brown, lettings gurus in Derby - but only in their branding, as their Sowter & Brown agency is taken over over John German, a much larger East Midlands firm. And finally this week, news from BidX1 - an online platform - which has named Richard Watson as head of residential auctions in the UK. Having qualified as a Chartered Surveyor in 2003, Richard joins BidX1 from Allsop where he spent 17 years working within the commercial and residential auction sectors.